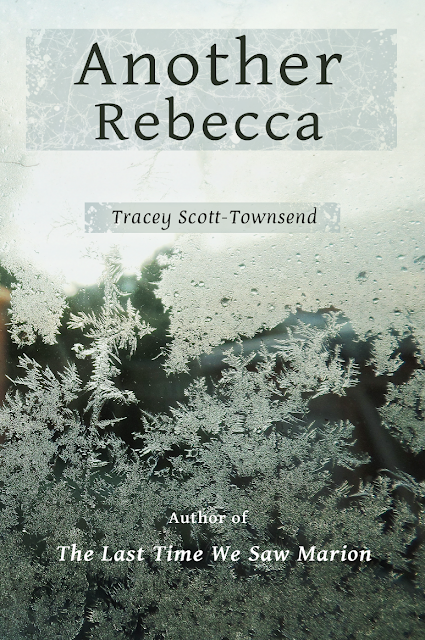 Today I'm delighted to welcome Tracey Scott-Townsend, author of ANOTHER REBECCA, to my blog. As you read her post, you'll probably guess what attracted me to her book. Before that, at the age of seven, I wrote a poem about a star I could see from my bedroom window; and another about a duckling owned by a child whose father sent it to market. Not to mention the one about the dinner ladies. I would usually set these works to music. At 15 and 16 I was studying for my English Language O’ Level. I think that was maybe when I began to craft stories more seriously. Writing stories on a given theme or extending a pre-existing paragraph into a fully-fledged tale was the kind of homework I enjoyed most. I took English for A’ Level as well, but chose to study Sociology and Social Anthropology at Hull University. But I dropped out after a year. To write ‘My Novel’. I began many My Novel’s but never completed any. The next one was always a better idea. And then I got pregnant. It was a mistake, of course, (I forgot to take my pills home at Christmas) but I wanted the baby. My boyfriend and I moved out to a communal house between the Humber estuary and the sea. The place later became the setting for The Last Time We Saw Marion, my first novel. Some years later, my boyfriend and I had parted and I was two-thirds into a Visual Studies degree. I lived alone in a first-floor flat in Hull and was happy. That’s when I wrote the first draft of The Last Time We Saw Marion; handwritten; spread across the pages of two thick, hard-backed notebooks. I called the story The Drowning Man at the time. The main character, Marianne, had appeared in several half-written novels since I was seventeen. But I’d now finally completed a novel-length story from start to finish. I also wrote a radio play and several short stories, one of which eventually became my second novel, Another Rebecca, and I mean years-and-years later. Meanwhile, I finished my degree, having met my first husband. At my graduation I was seven months’ pregnant. I gave birth to my first son. With motherhood, my productiveness as a writer dwindled. I had two more sons and then a daughter. All this time I was a practicing artist, exhibiting regularly and taking whichever babe I had in arms along to the studio with me. Shortly before my marriage broke up I started writing another novel. Computers had taken over from the typewriter by this time and it was the first work I’d composed on a screen. My character, Chloe, had six children and was involved in a marriage break-up. Again, I never finished that novel, but years later the character that had been Chloe reappeared, transformed into Ellie, the mother in The Eliza Doll which will be released in March 2017. I was a single parent for 10 years. I worked as a teacher and continued exhibiting as an artist over the ensuing years. My children were growing up. From time to time I would take out the manuscript I found the most compelling and rework it a bit, then put it away again. My teaching job came to an end. I was married to Phil by this time. We talked about it and decided I should give writing a go. Of course it was The Drowning Man I turned back to, more than 20 years after first writing it. After several title changes, the book became The Last Time We Saw Marion, published in 2014 by Inspired Quill. Another Rebecca was published in March this year and Of His Bones, sequel to my first novel, will hopefully be published next year. See, I’m making up for lost time now.